The title says it all. I just want to move to Austin. I’ve always loved that area for some reason. Though it may be super hot and humid and I always look like a gross sweaty mess I still love it there. One thing in particular that really captured my attention while we were there was the large amount of active people. 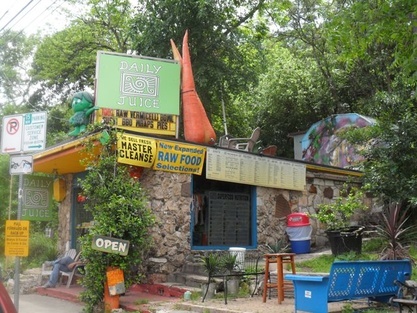 On our way to downtown to eat at Shady Grove we drove by Lake Austin which I think is actually called Lady Bird or Town Lake (not sure). It was about 1 in the afternoon and it was freakin hot! I couldn’t believe the amount of people walking, running, and biking I saw along the trail by the road. It was a busy place! My uncle said it’s around a 5 mile loop around the lake. One of my life goals is run around it someday or even better to live close enough where it can be a normal place I go to run. Also, I noticed many paddle boarders when we crossed over the lake. I’ve never tried paddle boarding before but I’ve always read that it’s a great total body workout especially for your core. 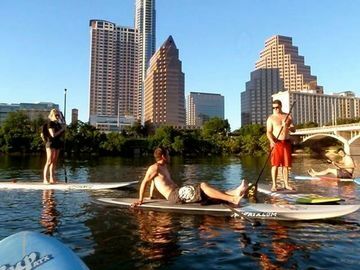 And I’ve seen paddle boarding yoga and I think that’s one of the coolest looking activities!! It’s at the top of my must-try exercise list. Plus you get to paddle around on the lake in your swimsuit! Not much is better than that! Some days I believe that I was born to be a hippie, but thankfully I was born on a farm which allows me to have a very different conservative perspective on a lot of things in life. Austin calls out that internal free-spirit I have. 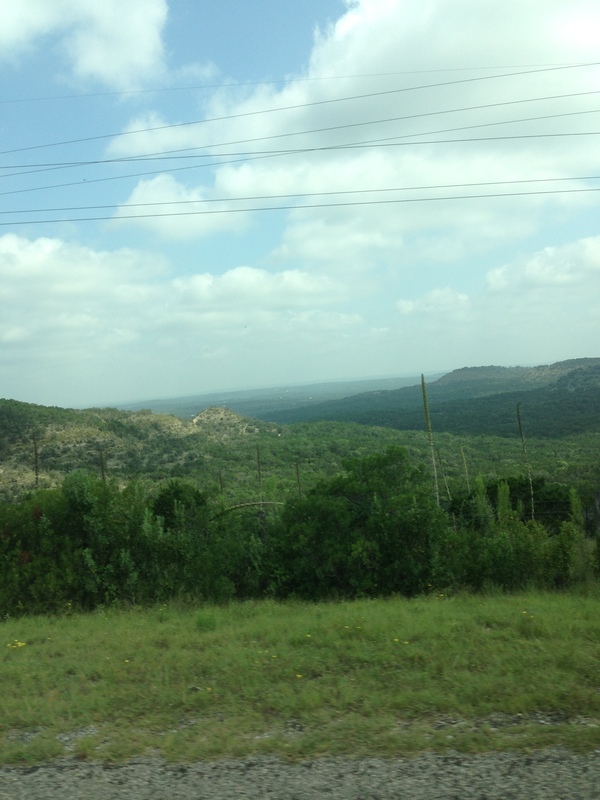 I would just love to hang out in that area and be a hippie. Well more like a writer/photographer/fitness junkie/ health freak/ thrifty shopper. Maybe someday I’ll get to do that though…maybe in Austin. Maybe somewhere else. Across the street from Shady Grove was the place called Juiceland. I would have loved to try it out. We’ll see where I go and end up! But living somewhere with lots of running trails, workout places, and healthy eating restaurants is definitely characteristics I will be looking for. Real quick question: Has anyone heard anything about this book or have read it? 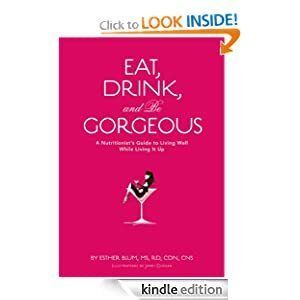 “Eat, Drink, and Be Gorgeous: A Nutritionist’s Guide to Living Well While Living It Up” by Esther Bloom. One of my best friends from school said I would absolutely love this book, so I was just wondering if anyone had any thoughts on it. On Amazon it had mixed reviews. If you just want a basic guide on eating healthy in moderation, working out, healthy alcohol choices, etc. this is the book for you. If you want the science behind everything then not so much. Thoughts? Though I think may want to move to Austin it’s so nice to be home and to finally get my life back to “normal” again until school starts back up. 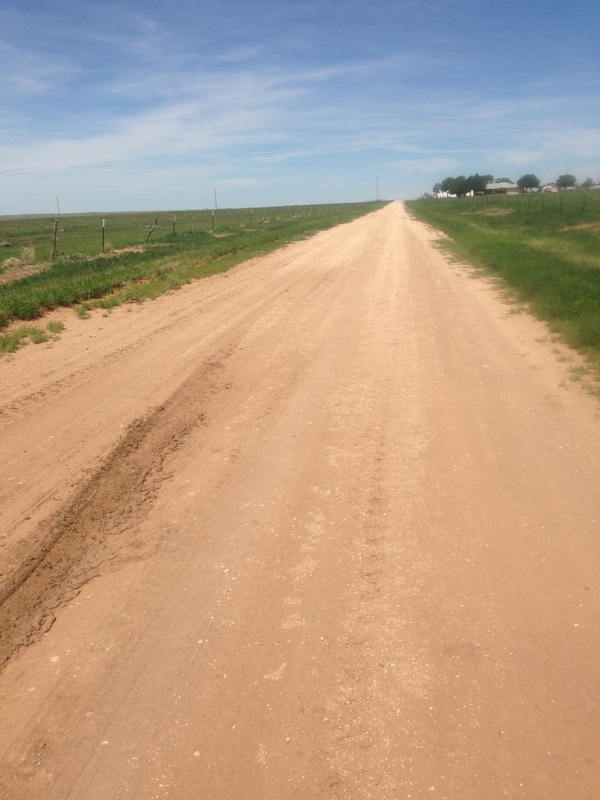 I live a very blessed life and am surrounded with wonderful people and live on a beautiful farm with wide open spaces. This kind of space and privacy probably isn’t too common in Austin unless you have lots of $$$. I can’t complain about my life here. So I’d been kind of worried that after not working out for so long that restarting would be kind of rough, but it really hasn’t been. Yesterday morning I went out for a 3 mile run and my time was about a minute or so slower than normal, but I wasn’t really trying to make my same time either. 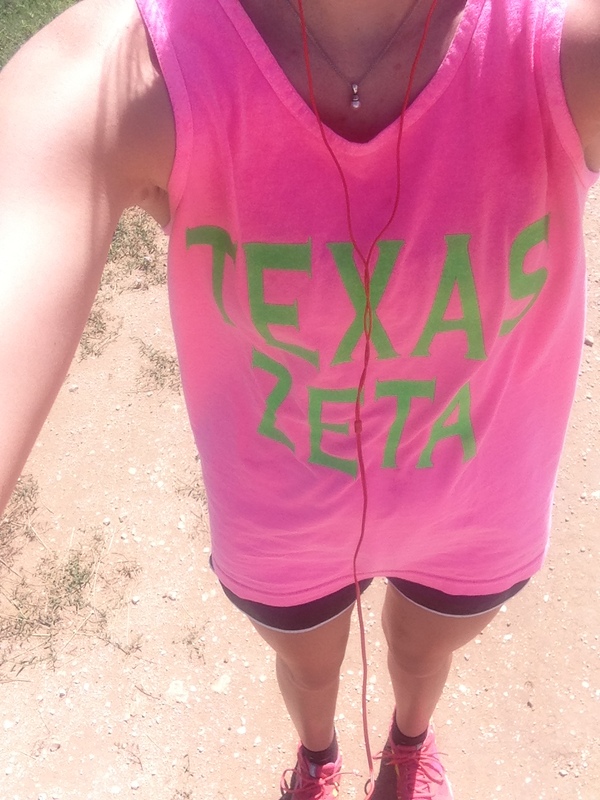 It felt really good to run again, but running at 10 am in the morning isn’t always the smartest thing to do. I got a little overheated. For breakfast yesterday morning we didn’t have many groceries at the house since all of the ladies had been gone and it was just my Dad. I made some protein pancakes with some Greek yogurt, protein powder, and egg whites. They turned out pretty good just a little burnt on the outside. Story of my life. 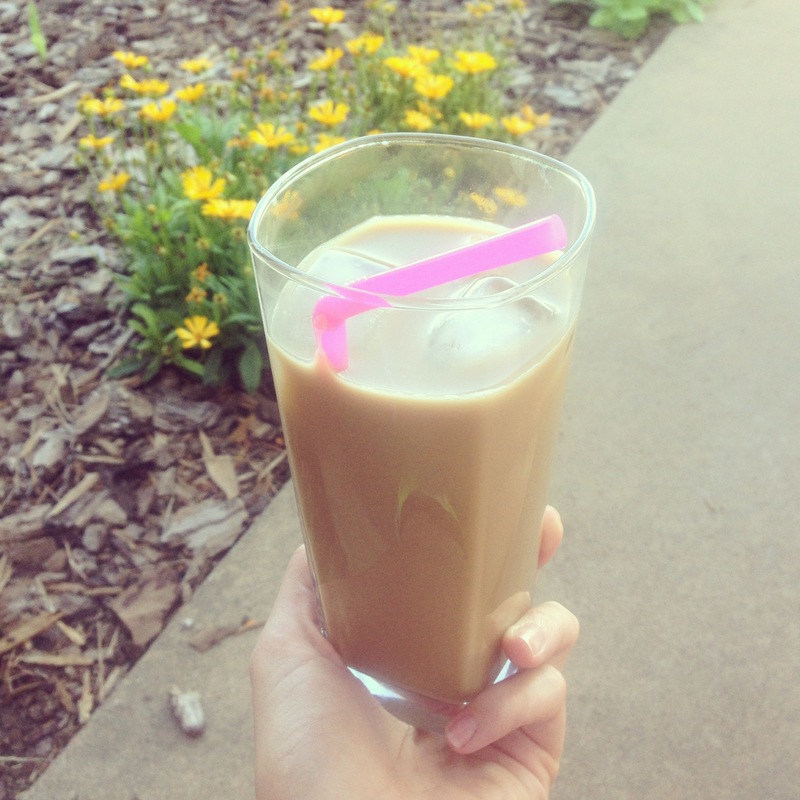 Mid-afternoon yesterday we still had some coffee remaining in the coffee pot, so I put it in the fridge for awhile then made my own iced coffee. Since we didn’t have creamer my Mom suggested I use sweeten condensed milk. I can’t tell you exactly how much sweeten condensed milk I put in there, but it tasted really good! 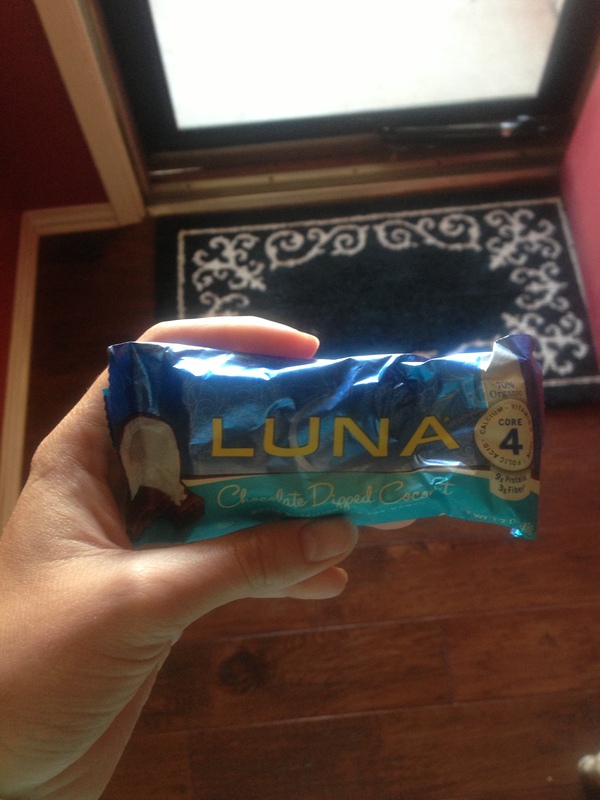 And I had a coconut Luna bar along with my coffee. 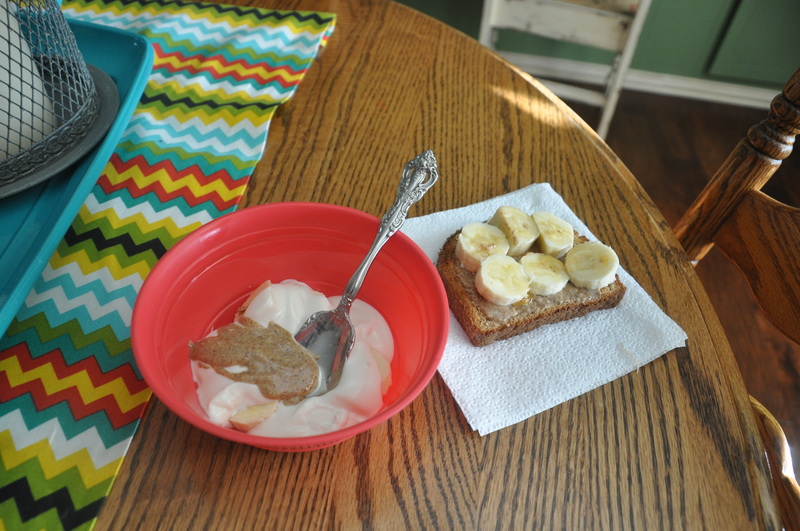 This morning I got up a little later than planned and wasn’t feeling very adventurous in the kitchen, so I just had toast with almond butter and bananas and a bowl of vanilla Greek yogurt with the other half of the banana and some almond butter. It was just what I needed. 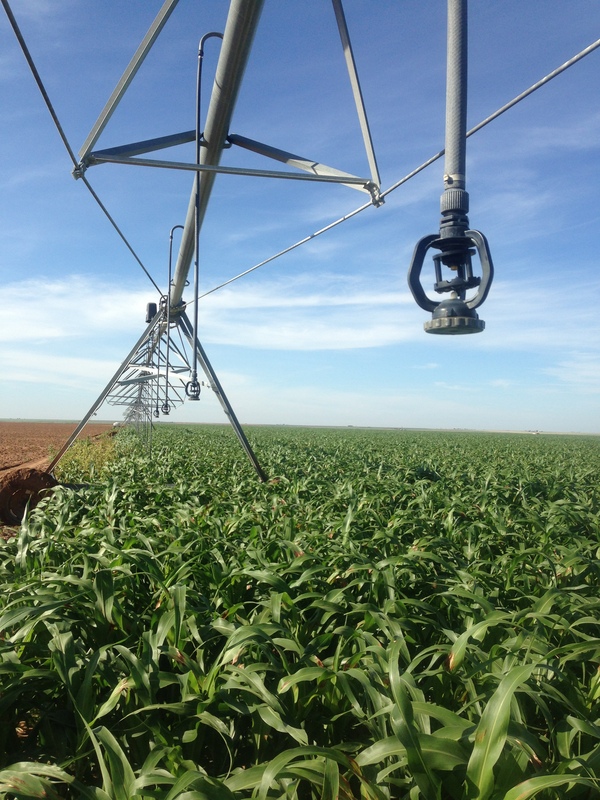 Soon my Dad picked me up and we went out to change the length of some sprinkler nozzles on a field of sorghum. The hoses were almost dragging the ground so we shortened them. First we had to untwist the hose from the top part then take off the nozzle. We throw the long hose aside and twist the nozzle to the shorter hose like the one in the picture. Talk about a good arm workout. Holding your arms above your head and having to twist the hose then the nozzle really works yours arms. Especially your forearms! My Dad had to run to town so while he was gone I did this total body strength workout from Fitness Blender. It’s a great workout for your legs especially the glutes! Ouch. 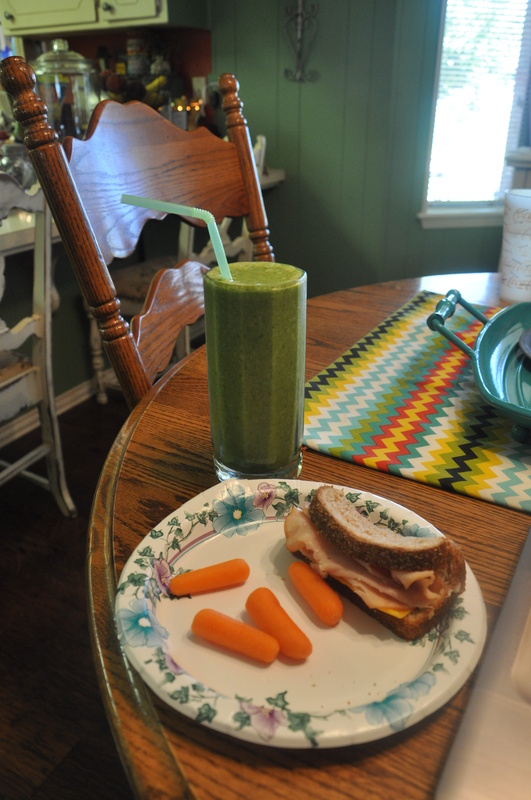 A green monster smoothie made its return into my life today for lunch along with half of a turkey sandwich. I had almost forgotten how yummy my green monsters are! I don’t have much else for you today. I’m not sure what I’ll spend the rest of the afternoon doing. Maybe some more farming or more things around the house. 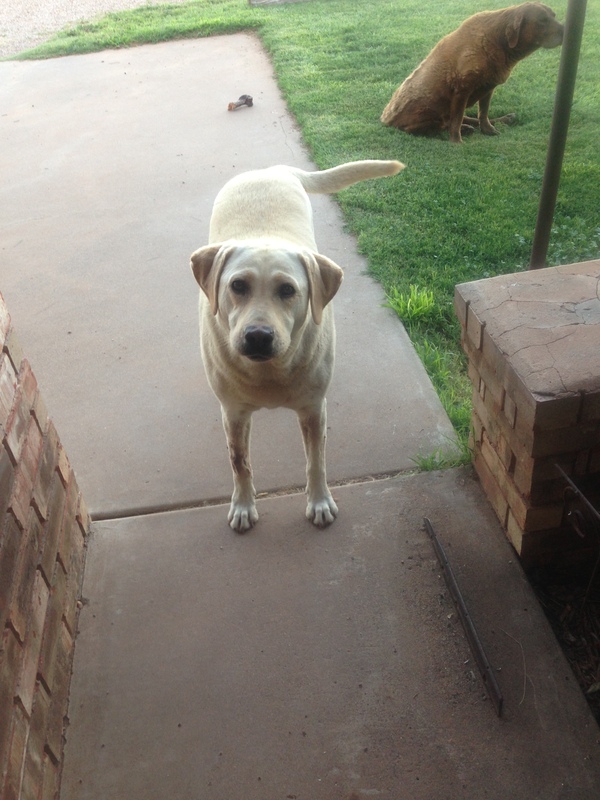 I’ll leave you with a picture of Marley. She’s a cutie sometimes. What city you would love to live in? Have you heard of the Eat Well book? What have you heard about it? So sadly on Sunday we made our way home from Texas. I always have mixed feelings about returning from trips. I know I’m not the only one who wishes they didn’t have to return home from vacation sometimes. 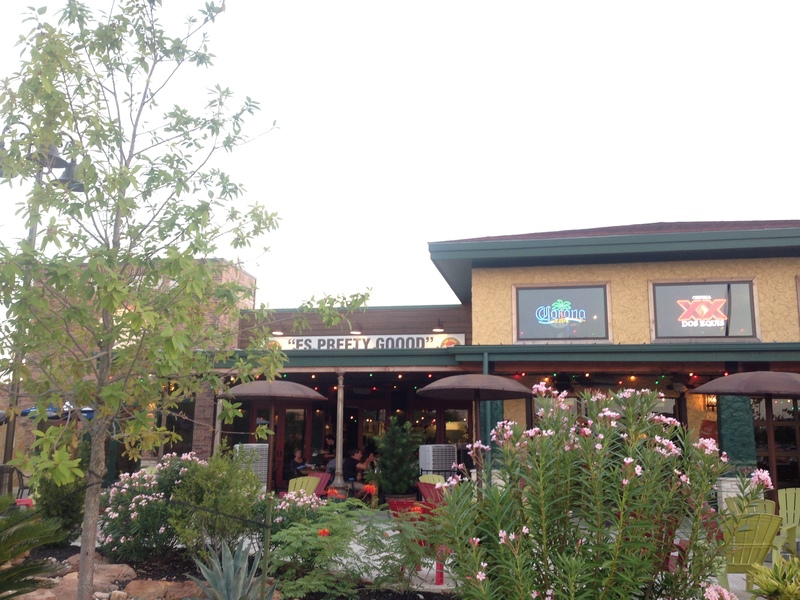 Continuing from my former post Texas Trip: Es Pretty Good: After the little one got in a good nap we went over to the San Marcos outlet mall and shopped in a few stores. I got a new pair of black skinnie jeans and some maroon skinnies from Pac Sun. 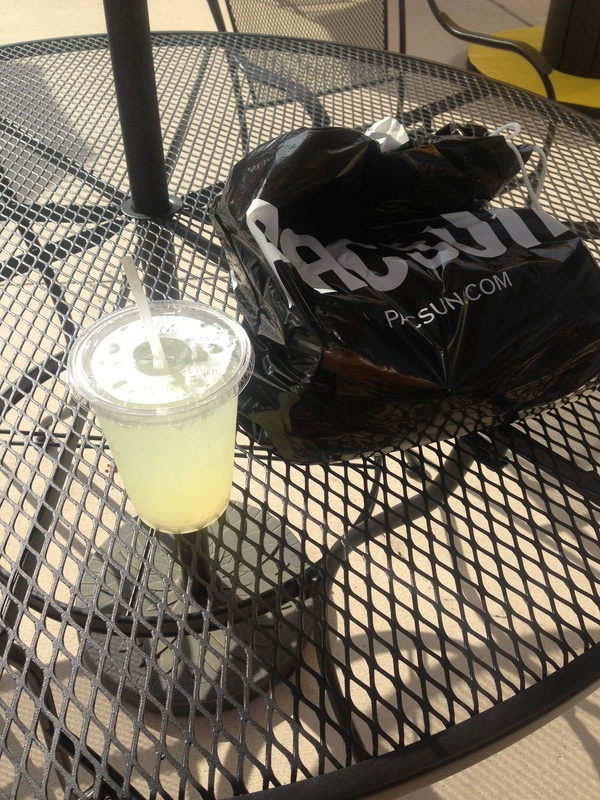 It was really hot that day so we grabbed some lemonade. It had lavender in it which made it light and very refreshing. That evening we went to supper at a japanese steakhouse called Kobe and it was really good. 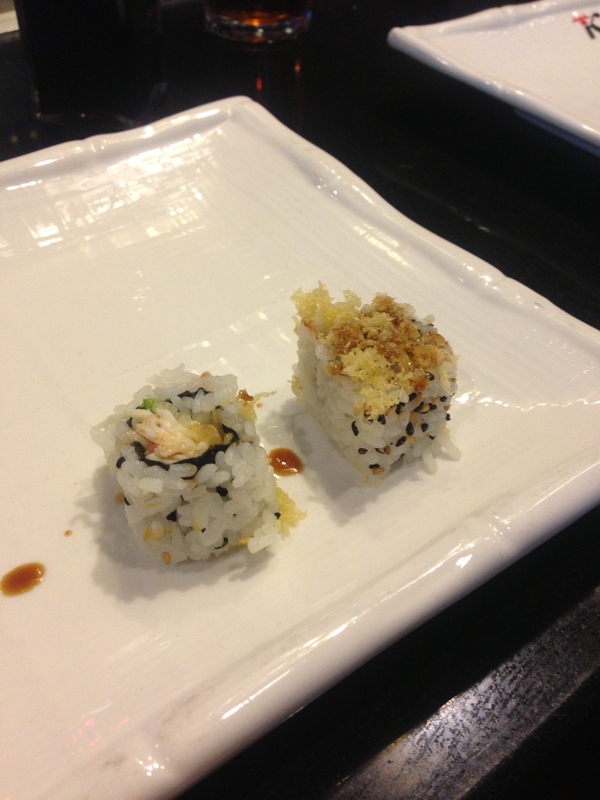 We had some sushi rolls before our meal was cooked. I had the teriyaki chicken. There really is no safe way to not overheat at a place like that. I left feeling stuffed, but it was really good food. Saturday morning we had pancakes for breakfast. 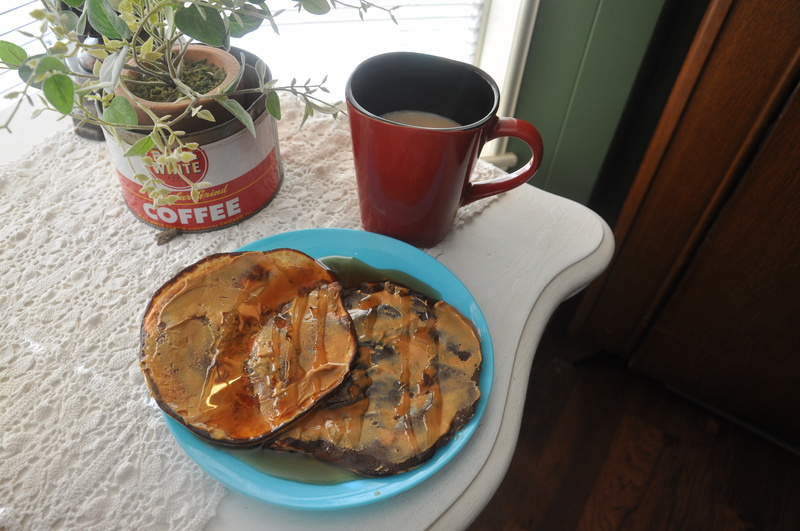 I had my pancakes with bananas blueberries and a cup of coffee. 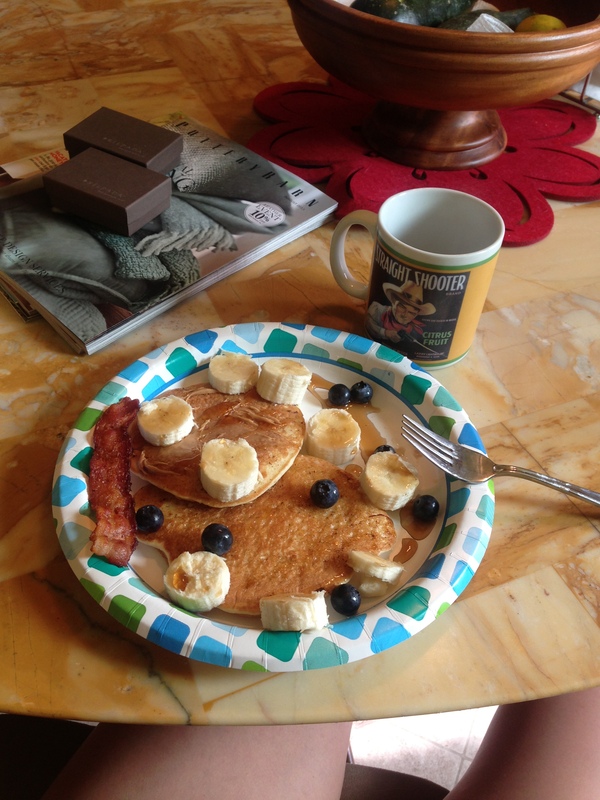 Breakfast is my favorite meal of the day and pancakes always make for a great day. After breakfast we walked with our aunt and baby girl to a park close by and played on the equipment for awhile. 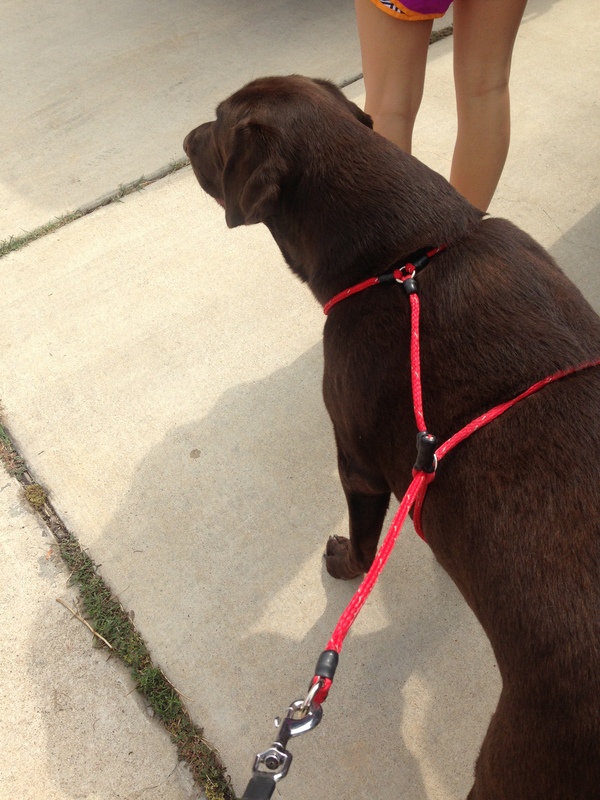 I walked their huge chocolate lab Nelson. While she was playing I did a few little exercises using the equipment like bulgarian squats and tricep dips. Not enough to really account for anything though. 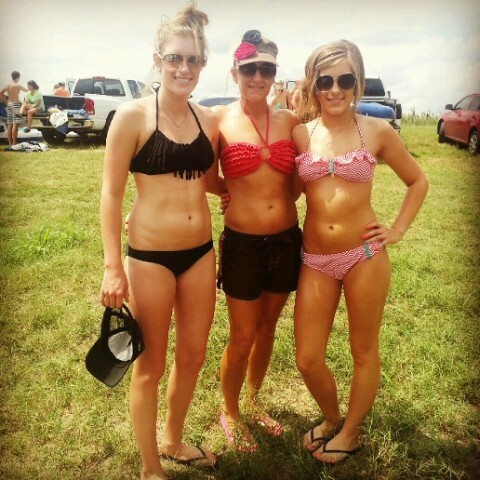 Soon it was time to get ready to float the San Marcos river! 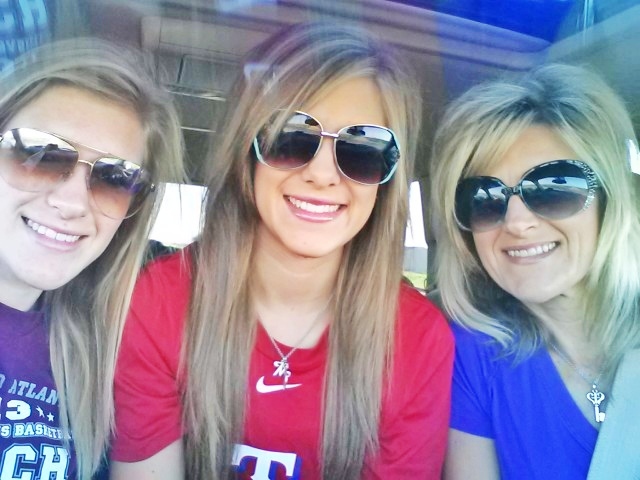 My aunt from Austin joined us and we dropped the girl off at her grandparents house. We got there around 3 or 4 in the afternoon and got our tubes rented. The river was full of college kids. And I mean full!! The whole way we were next to different groups that made it very entertaining. Everyone was having a good time if you know what I mean 🙂 Overall, it was really chill and relaxing. If I lived in San Marcos or near it I would float the river every weekend. Idk what it is about being in the water but by the time we got home we were starving! 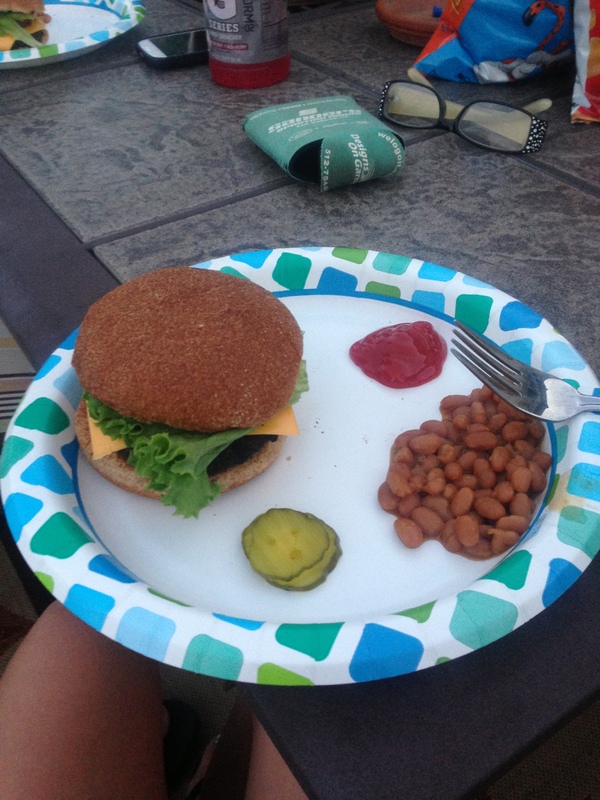 My uncle cooked up some hamburgers and hot dogs. We just sat put in the backyard and listened to music and played with Kendall late in to the night. This morning we got up and had breakfast tacos. Too soon we had to hot the road and say our goodbyes. In San Angelo we stopped to see my moms aunt who don’t get to see often so that was good. Of course on our way home we were on the search for iced coffee. My Mom, sis, and I had been to a sonic where they did have iced coffee, but the one we stopped at unfortunately did not. I had a java chiller at Sonic instead. It basically was a mocha caramel milkshake with a hint of coffee flavor. Really, really good, but probably won’t become a normal drink of mine. It’s just too much! Lastly, this song came on the radio an uncountable number of times during our trip, so I’ll probably always think of this trip when I hear it. It’s a good one! Have you floated a river? 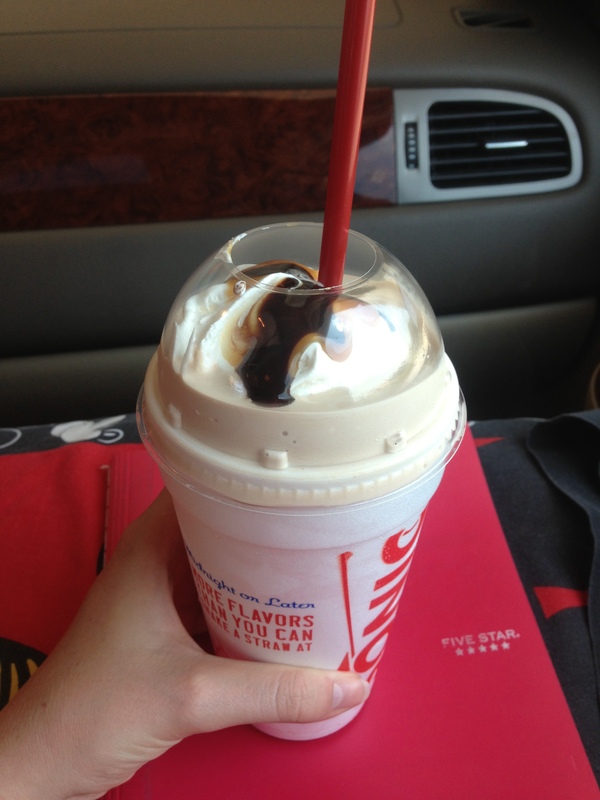 Have you had a Java Chiller from Sonic? Monday morning my Mom, sister, and I left to head down to the Austin, TX area to visit family for the week. My Mom is an McDonald’s iced coffee addict (as am I) so we didn’t get far down the road before we had to stop and grab some hazelnut iced coffees. 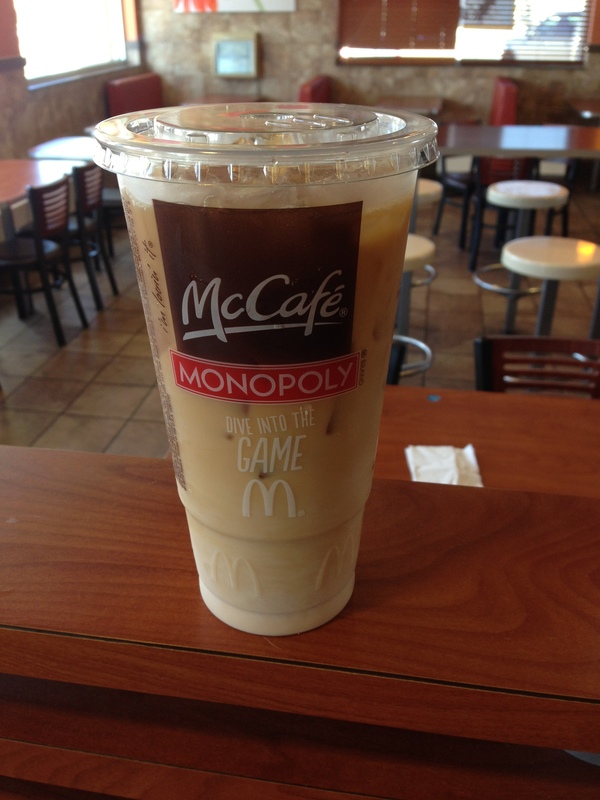 Our motto is Go Big or Go Home when it comes to iced coffees. We go big. 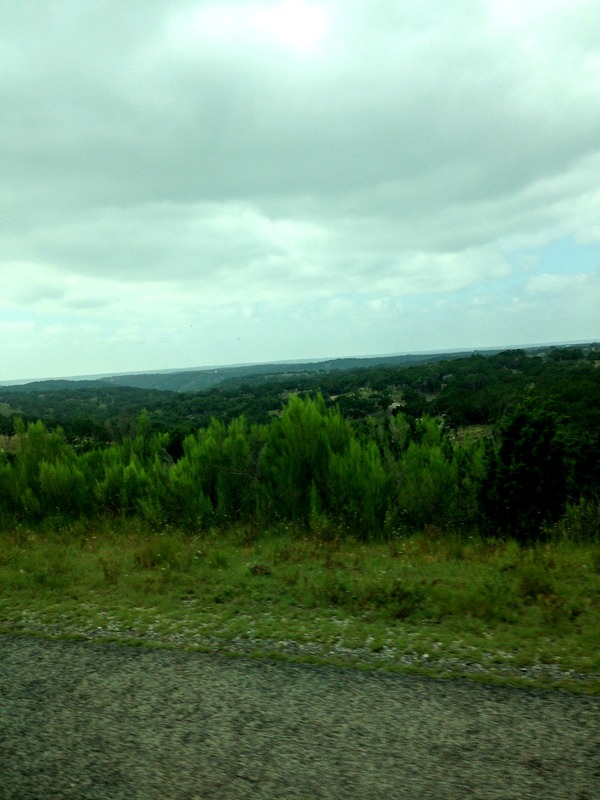 Monday we drove to a small town in the hill country where my mom’s grandparents live. When we got there our great grandmother Faye Faye was there so we chatted with her on her back porch until Pop got back from the ranch. We stayed with them for the night and they took us to the ol’ King Burger for supper. I had a cheeseburger that was pretty darn good. For as old as they are they look really good and still get around good. Pop, whose 90th birthday is coming up in October, still goes out to his ranch and has goats out there. Tuesday morning he left the house around 5 to load up some kids (baby goats) to take them to the sale. Faye Faye got up and cooked up some toast. I topped mine with peanut butter, banana, and some peach preserves. Too soon we hit the road to go to Austin. 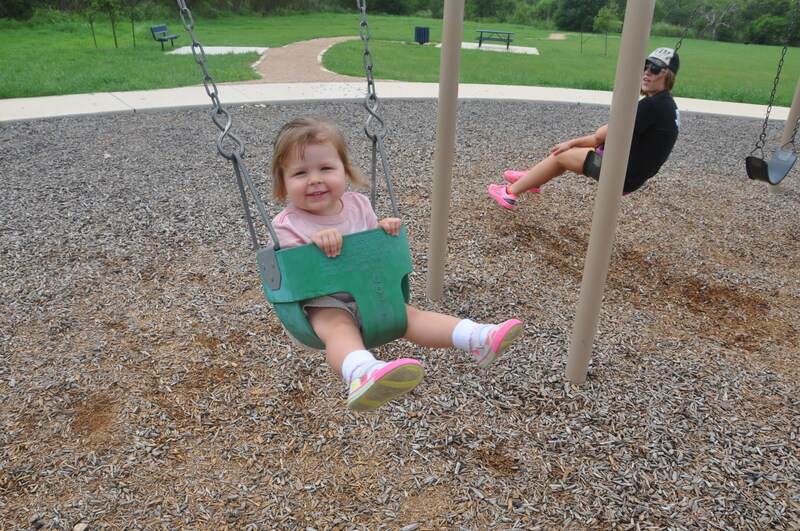 In Austin we stayed with my mom’s brother, his wife and their one-year-old son D.L. They have a pool at their house so we spent some time in there when we got there. All this time I was planning on getting up and running while we stayed at their house in the neighborhood. When I woke up on Tuesday morning it was already 10. Oops. Definitely too hot and humid for me to run at that time. 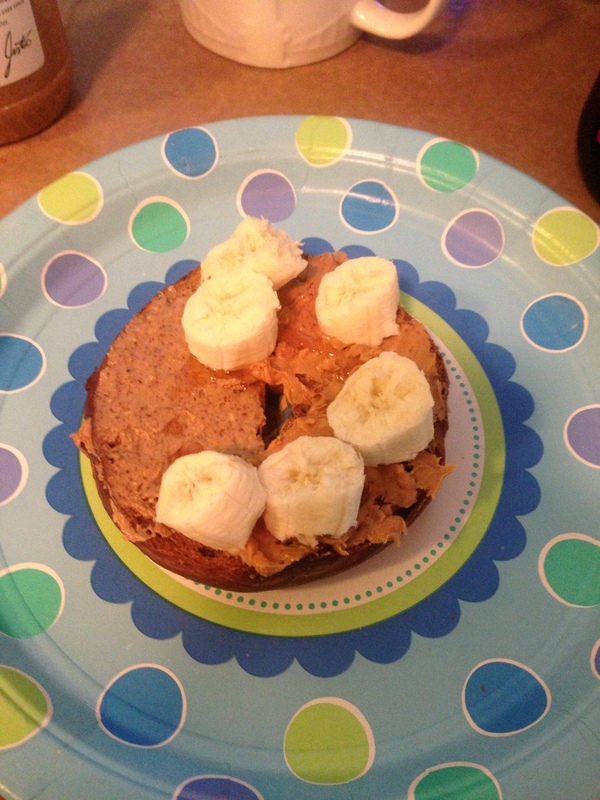 Anyways, we had breakfast which was a bagel from Einstein’s topped with nut butters and a banana. Our aunt had bought 3 different kinds. Justin’s almond butter, an organic crunch peanut butter, and Planters make banana granola peanut butter. All of those were really good, so I divided up my bagel into sections and smeared each of the 3 on there. Eventually we all got ready and drove to downtown Austin for lunch. 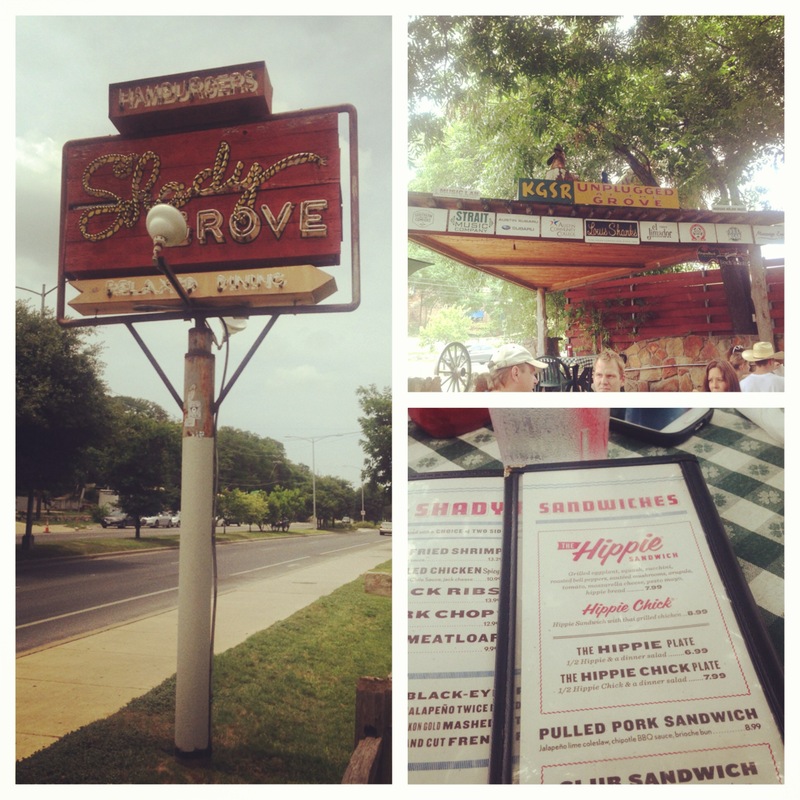 We ate at the Shady Grove on Barton Springs. It was sooo good! We had french fries covered with green chile sauce that were delicious and spicy for an appetizer. 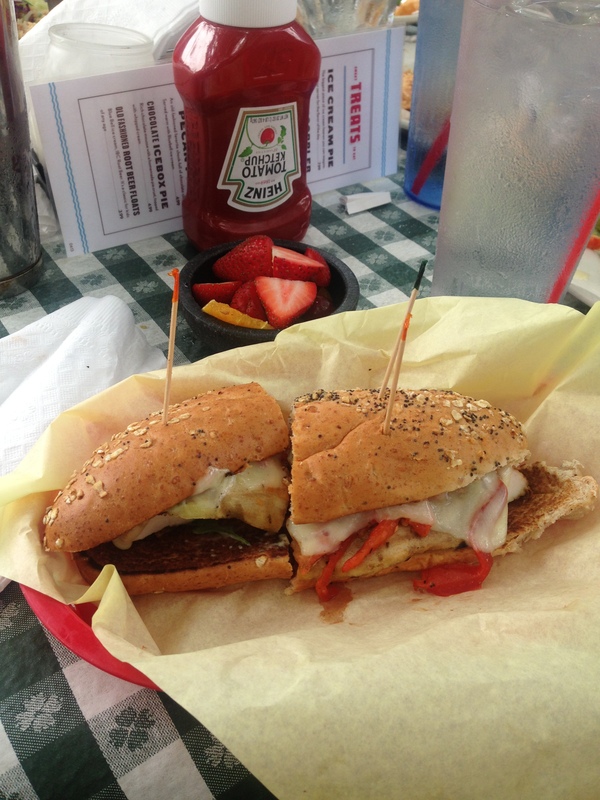 For lunch I went out on a limb and had the Hippie Chick sandwich. It had grilled chicken, mozzarela, squash, zuccini, and argula on it and a side of fruit. After lunch my mom, sister,and I went shopping down SoCo (Southern Congress Street). There were lots of unique and really rad boutiques down the street. The only thing we bought however were cupcakes from a Hey Cupcake trailer. Priorities people. It’s all about priorities. 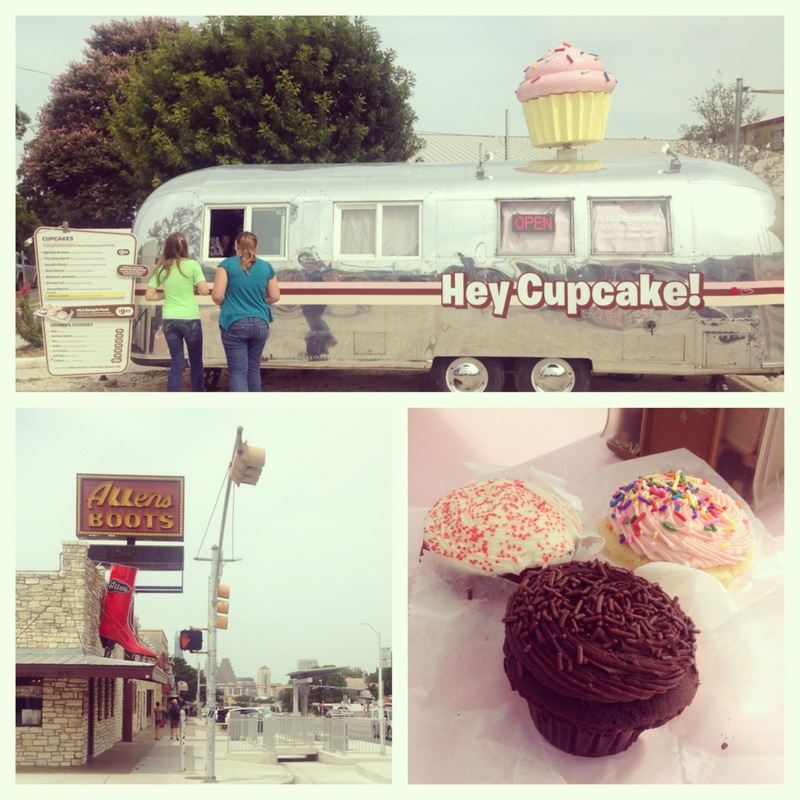 Cupcakes from an airstream trailer are definitely above new clothes. I had the double dose cupcake which was a chocolate cupcake with chocolate buttercream frosting. It was pretty dang good. The best cupcake was probably my mom’s red velvet cupcake. Then our shopping moved to The Drag by UT’s campus. We had to stop at the Tyler’s and get a new t-shirt there. 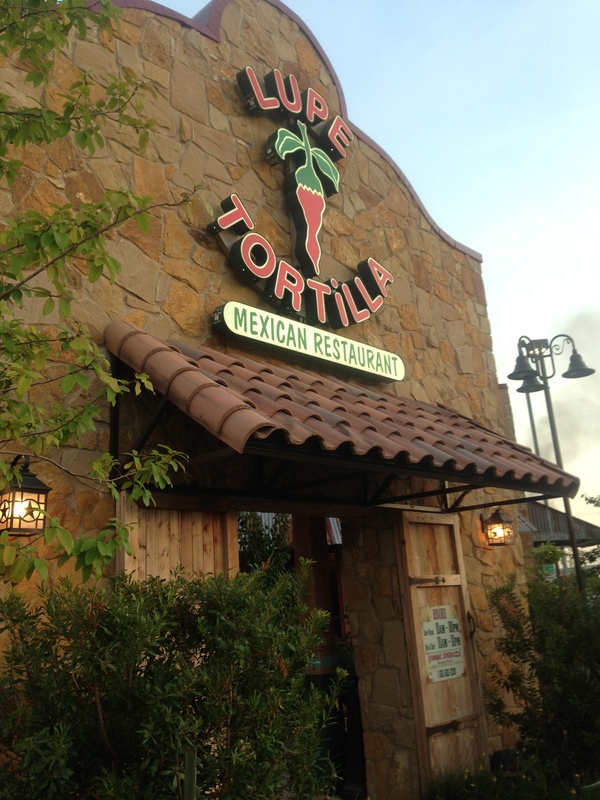 Eventually we made our way back to the house and soon went off to dinner at Lupe’s Torilla Factory where we met one of my aunts who lives in Austin too. 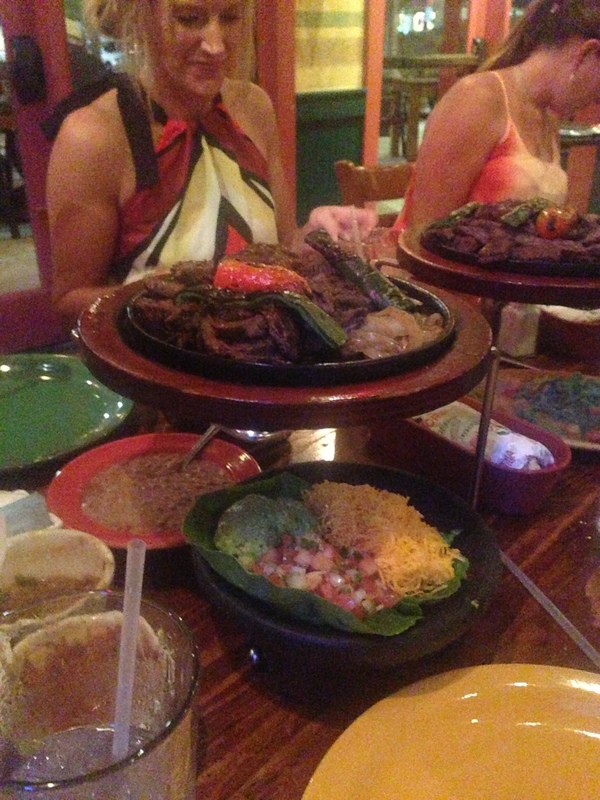 We had the beef fajitas. The beef was so tender and had a great lime flavor. The toritllas were paper thin and really soft. Best fajitas I’ve had and I’ve eaten lots of fajitas in my life. 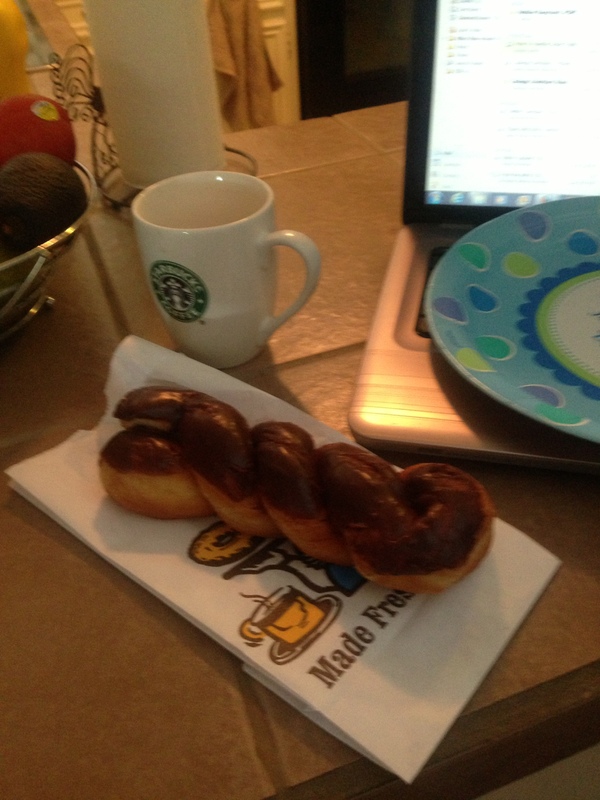 The next day a run didn’t happen, but…a chocolate twist donut did happen. I love donuts and this one did not disappoint! 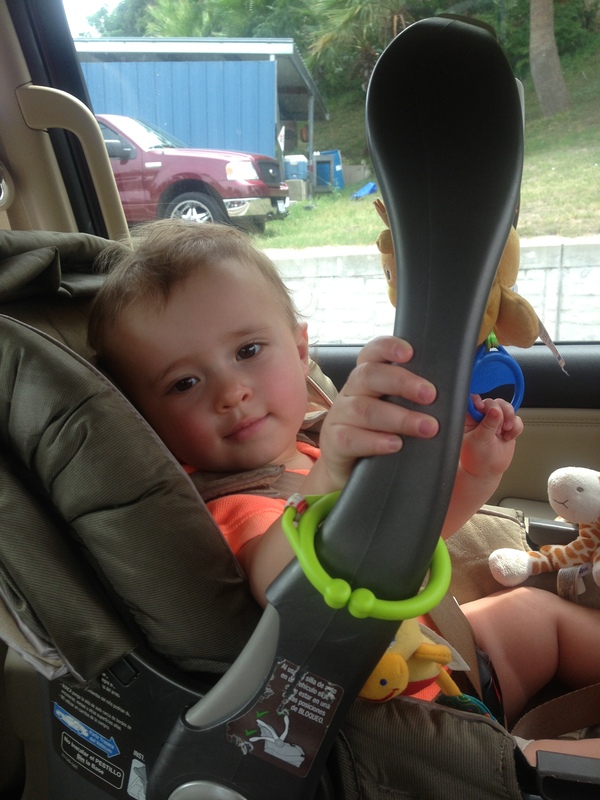 We did go on a walk around the block with baby D.L. at least. 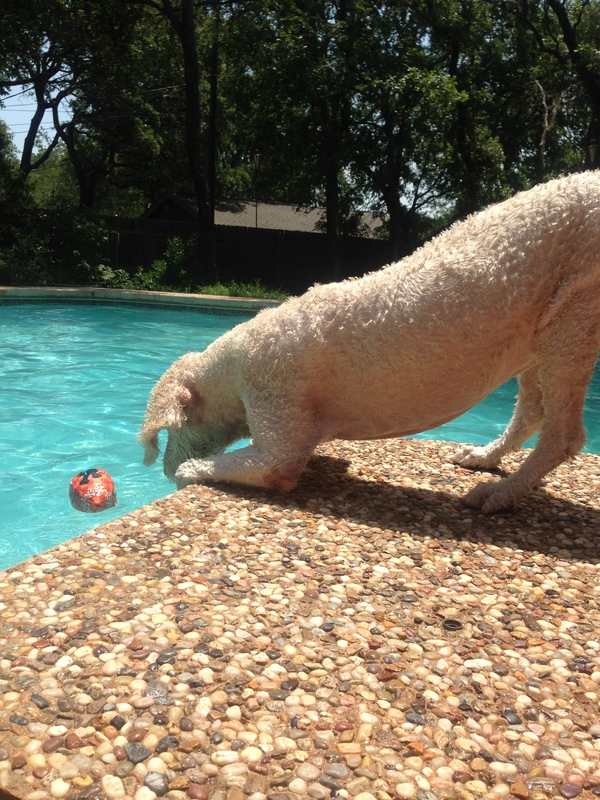 Then we all decided to get in the pool for awhile. My aunt and uncle were dogsitting this Golden Noodle name Tanner. He was an odd duck to say the least. Kinda ugly, but really cute at the same time. 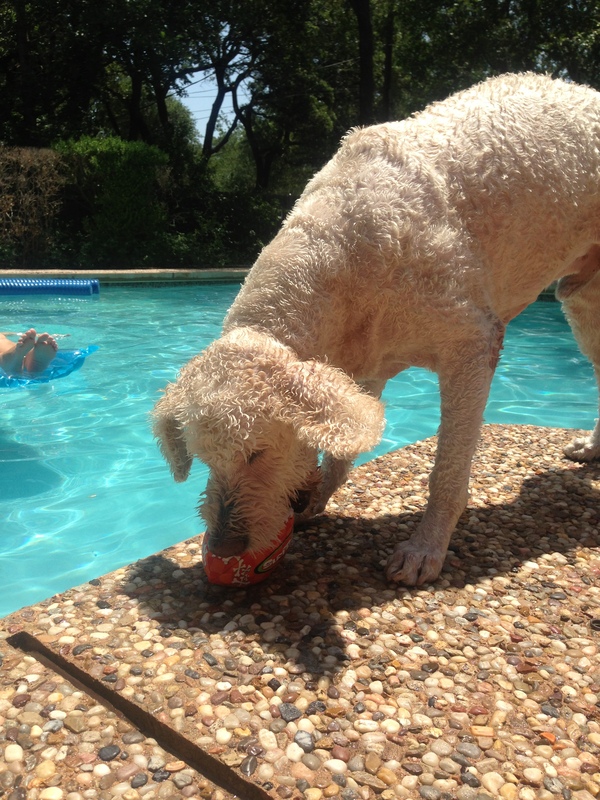 He loved to fetch a ball out of the swimming pool. Never have I thought of a dog as being awkward, but Tanner was awkward. A good awkward. My sister wanted to take him home. Evenutally we got ready and headed to a sorority boutique near UT campus where I got a few things. 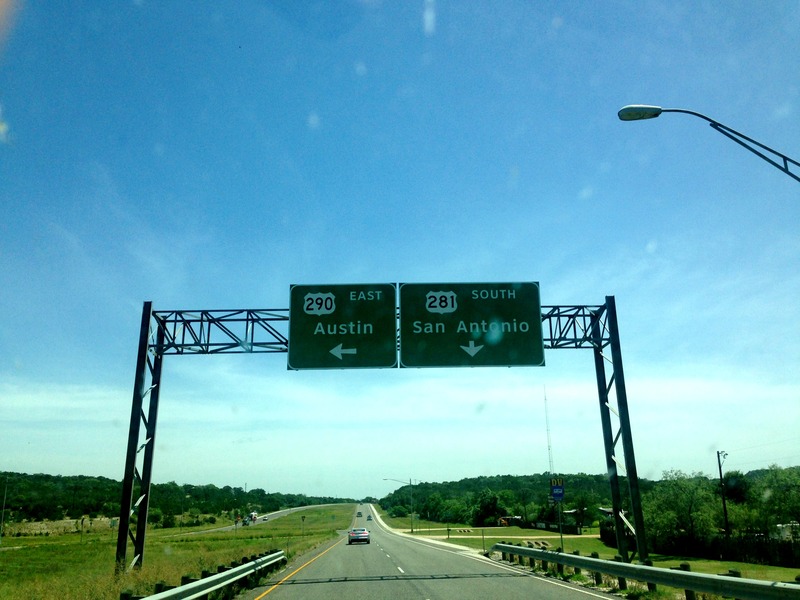 Then we left the big city of Austin and drove to San Marcos where we are staying with my mom’s sister, husband, and their 2 year old girl. 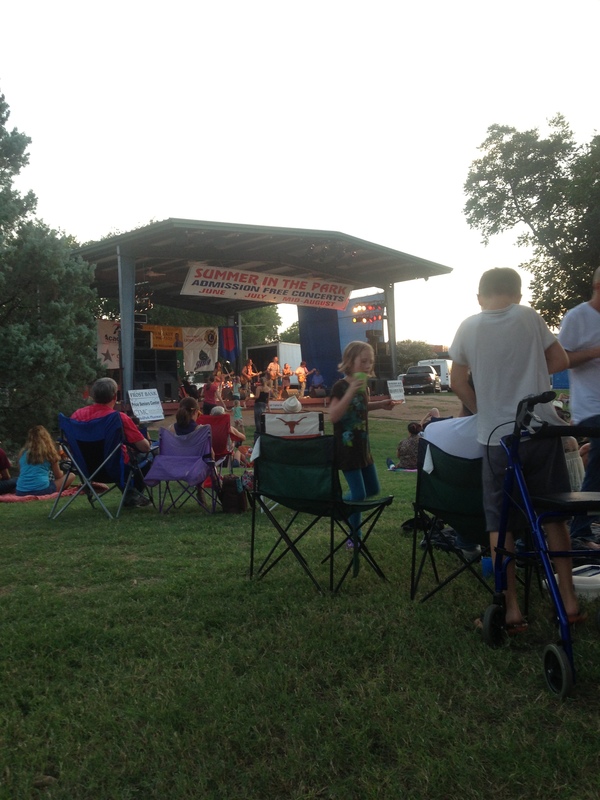 Last night we went to a free summer concert. I don’t remember the name of the band, but they were kind of folk/country and were really good. And this morning we get to keep our little cousin all day while her parents are working. 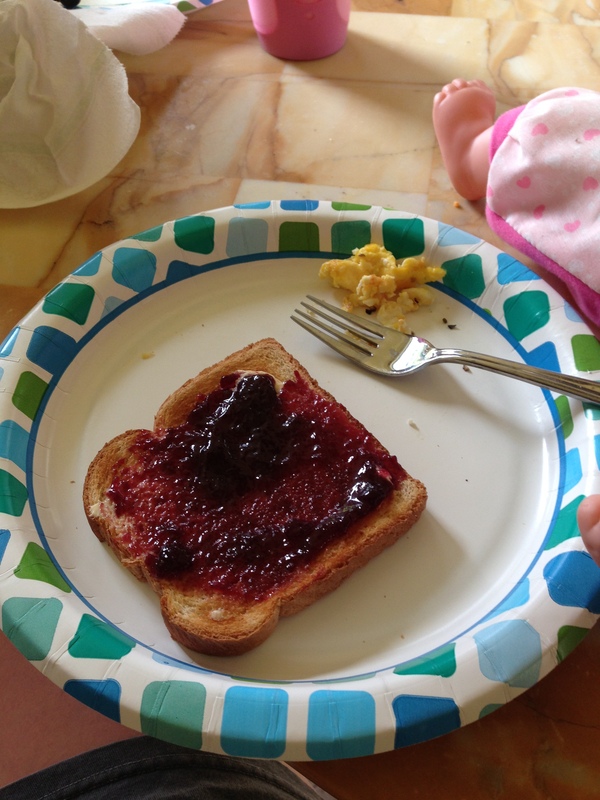 This morning we had breakfast of toast with scrambled eggs. 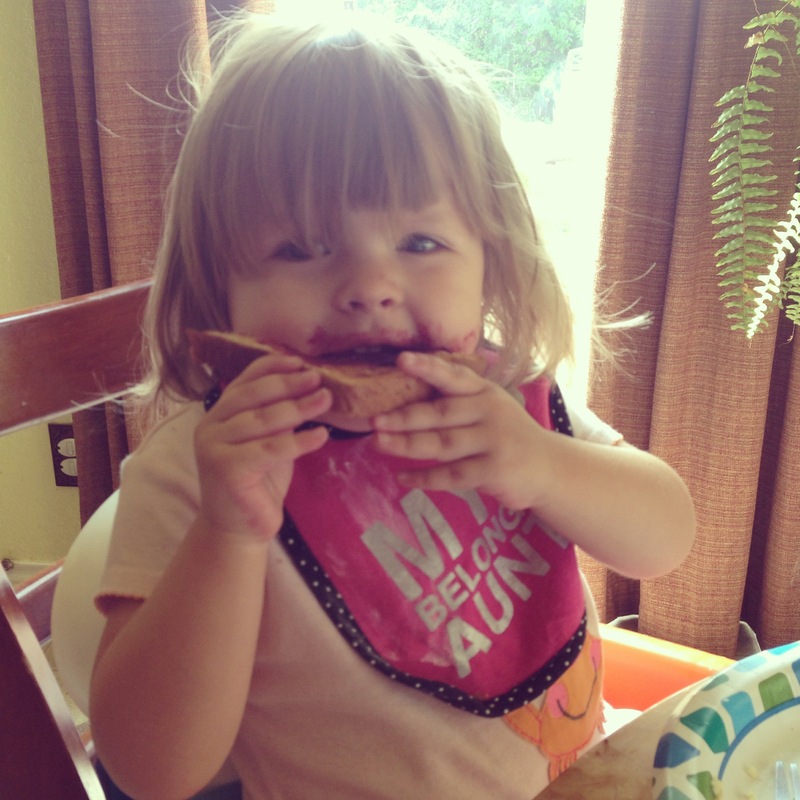 Things got a little messy with the toast. Then we got ready and went to Target for awhile. 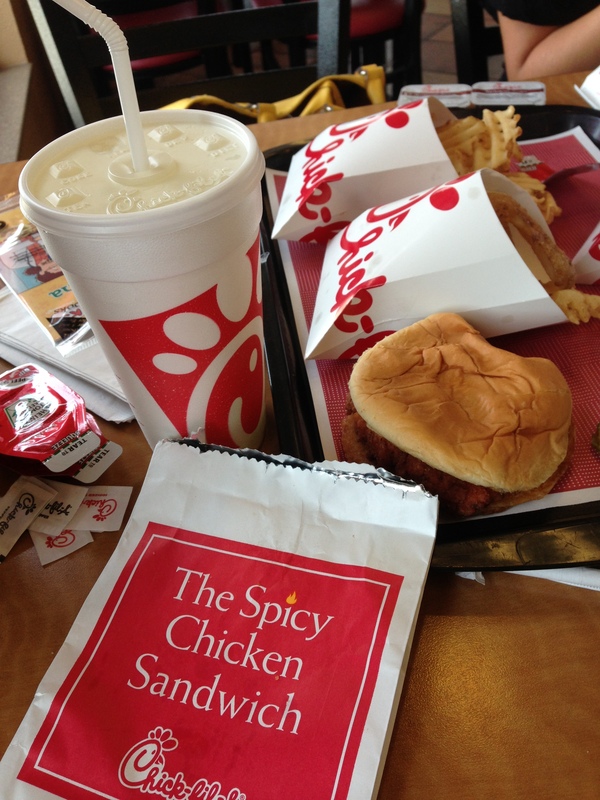 Soon it was time to grab lunch at Chick Fil A before we headed back to the house so baby girl could nap. It looks like all we do is eat, but I promise we do more than that in a day! After her nap I think we’ll head to the outlet mall here in San Marcos! Tomorrow we’ll float down the river and Sunday we’ll head home. This trip is flying by! More thoughts and pictures from the rest of our trip will come!